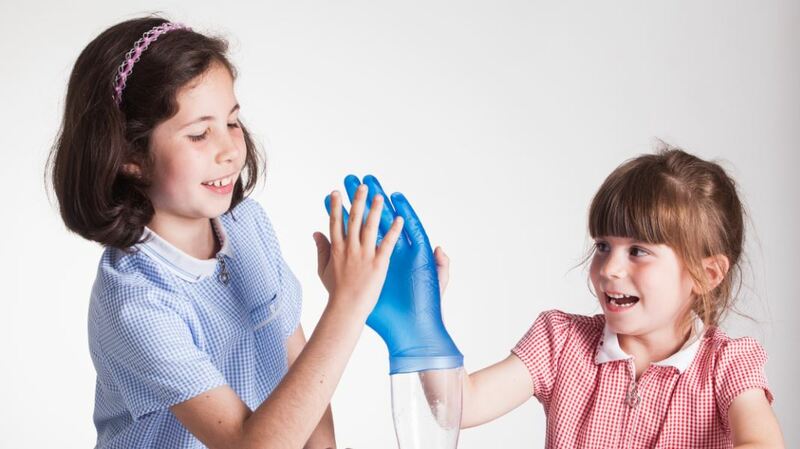 Freaky Hand demonstrates that gases expand. Stand back in case it pops! Put a centimetre of vinegar in the jar. Put a teaspoonful of bicarbonate of soda in one finger of the glove. Fix the glove over the jar. It needs to be a tight fit and you might need a wider jar. Lift the glove up to tip the bicarbonate of soda into the jar and the carbon dioxide produced will puff the glove out.